View More In Coffee & Tea - Page 7. Lucaffè blend has a delicate and sweet taste, an unmistakable chocolaty aroma and a bouquet that is reminiscent of fresh toast. 14g. Double shot paper pod, to be used with 58mm brew heads only and you have to have the adapter for it. 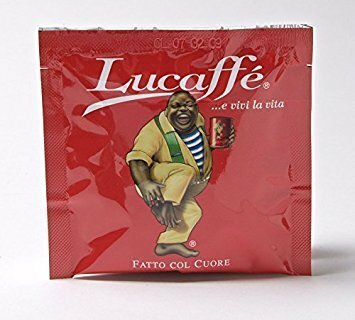 If you have any questions about this product by Lucaffe, contact us by completing and submitting the form below. If you are looking for a specif part number, please include it with your message.